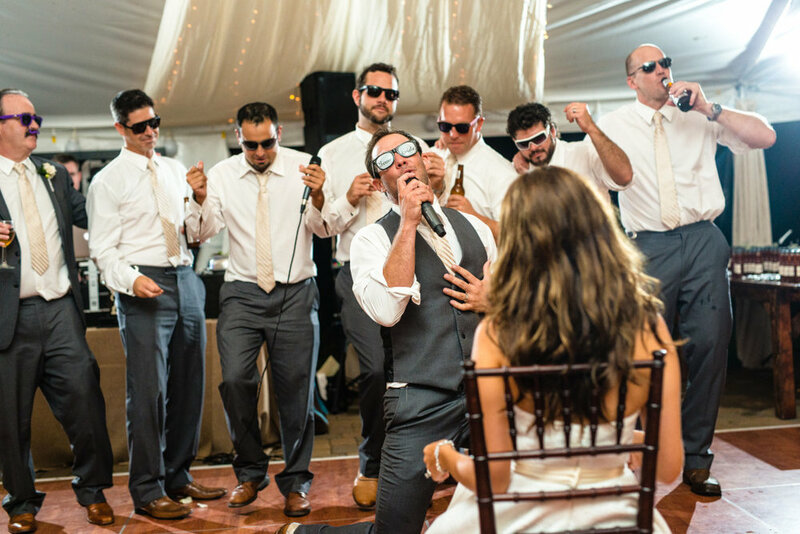 Groomsmen can really make or break a wedding – “bad behavior” during photographs can put you behind schedule, and a little too much Jack Daniels before a ceremony can cause some major headaches (to say the least) – this goes for bridesmaids as well! 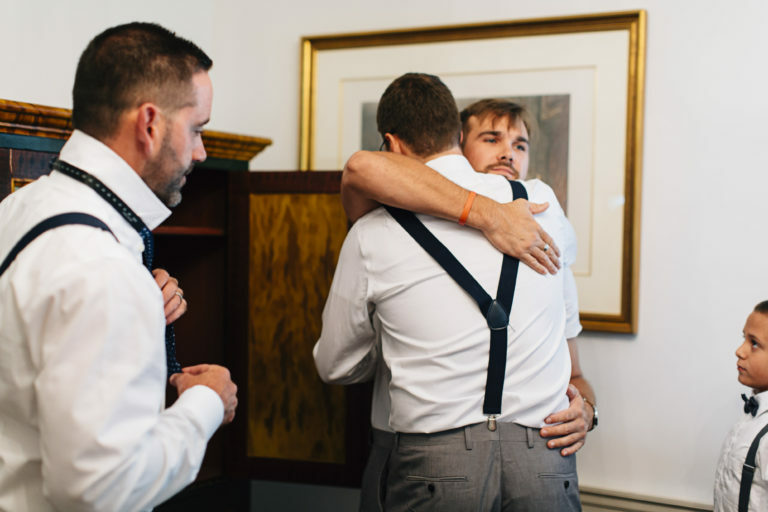 To help your groom out and also calm your nerves, this list goes over what the groomsmen are responsible for before and during the wedding. Feel free to cut the top of this blog post off and hand it out so everyone is on the same page! Lock Down Your Attire: Like your counterparts, the bridesmaids, you’ll have to shell out some money for your wedding attire. Be sure to take the time to get a proper fitting – a good-looking suit is worth the money and time. The couple will appreciate that you’re looking your best for their wedding! If everyone lives farther apart and can't make it to have their suits fitted at the same time, there are online programs that make the process extremely easy! 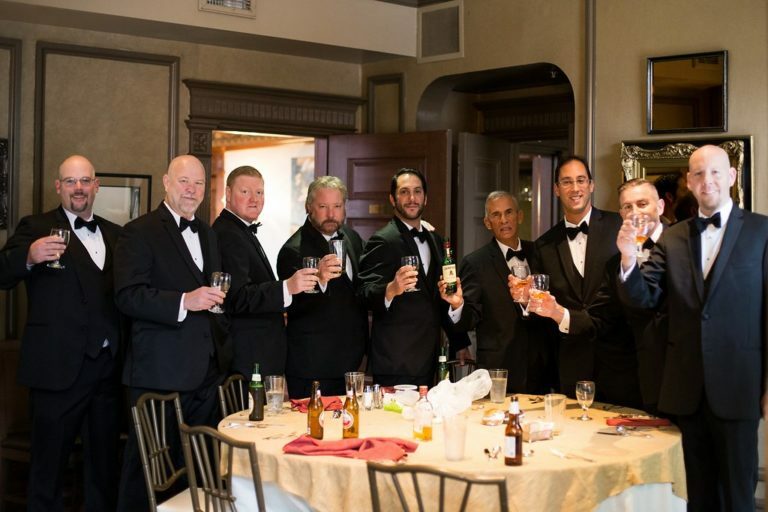 Bachelor Party Planner: While the best man usually takes the lead on planning the bachelor party, more heads are better than one; bounce ideas off of one another on what the groom would like, what everyone can afford, and something that will be a great time for all involved. Don't feel like you have to plan a destination bachelor party, there are plenty of fun things you can do more locally. Attend the Rehearsal and Rehearsal Dinner: Once the wedding day is practically upon the couple, you’ll most likely be asked to attend the rehearsal. Do the couple a favor and show up on time and focus while at the rehearsal! The sooner everyone focuses and listens to the officiant or wedding planner, the quicker everyone can leave and get to the rehearsal dinner. Gift It: Go in with another groomsmen or two to create the perfect wedding gift for the groom and the couple. Think of their style and what they would like or what they need, and you’ll hit a homerun! Show Up On Time: Be sure to arrive to the getting ready site when the couple tells you to (or preferably a few minutes early). Help Quell the Nerves: Even for the most cool-headed groom, the emotions of the day can quickly become overwhelming. Help him out with staying calm. Sometimes, nerves can drive people to drink a bit too much before the wedding – help him steer clear of this potential disaster, too! Go in for the Assist: Your overall job on the wedding day is to help out wherever possible. Moms of the couple need a cooler carried? Check. Groom needs you to assist with his tie? Check. Whatever the wedding day throws at the couple, help out in any way you can! Usher in the Love: About an hour out from the wedding ceremony, many couples appoint a handful or all of their groomsmen to assist in guest seating. Depending on religious beliefs and traditions, seating will differ. Elderly guests should always be seated first. Be Prepared to Give A Toast: Usually the best man and maid/matron of honor are asked to give a toast during the wedding reception but sometimes additional bridal party members are too. If you are asked, be sure to prepare something in advance. Help Clean Up: At the end of the night the wedding planner and caterer will pack everything up, but groomsmen can be a big help by helping to load the extra alcohol and decorations into someone's car so that the groom does not have to help. While this list isn’t exhaustive of what the groomsmen can assist with, it’s a great starting point! It never hurts to have more hands on deck the day of your wedding to organize the bridal parties. 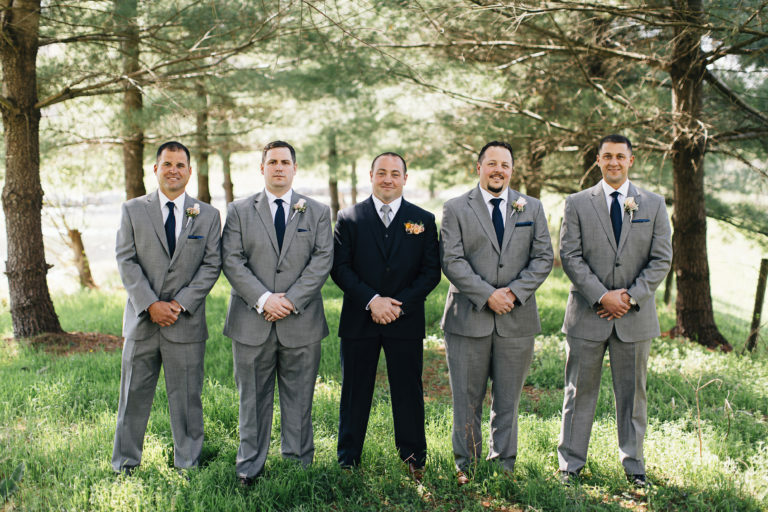 Our team members at Stylish Occasions are experts in “herding” bridal party members and ensuring the timeline is adhered to as closely as possible. Give us a call if you want to talk about our packages and how we can help you with your wedding!